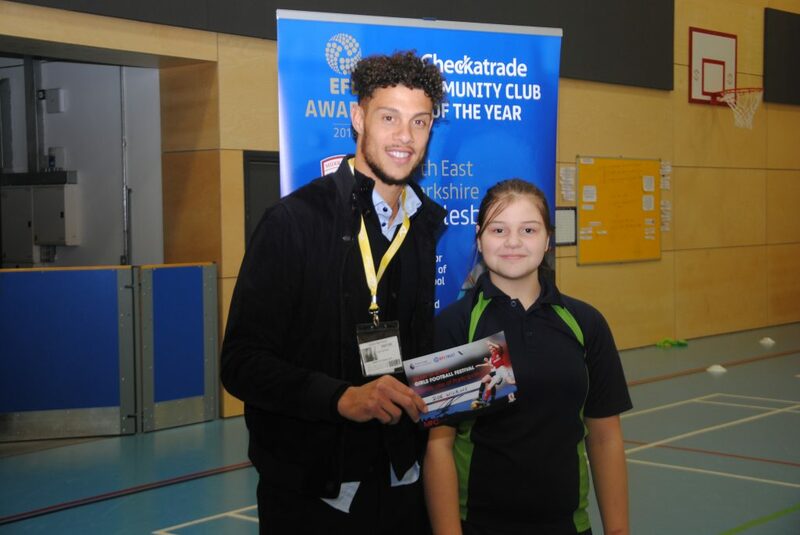 Rudy Gestede paid a visit to Ingleby Manor School on Tuesday as part of the EFL’s Day of Action. The striker was a surprise visitor to MFC Foundation’s football session at the school, where he met and chatted with the girls taking part. Gestede spoke about his life and career football and beyond and offered words of inspiration to the youngsters, encouraging them to pursue their goals whatever they may be. The Boro man then posed for photographs and presented signed certificates to the young footballers. “It’s good to share with them a bit of my story, and explain to them that in life you have to work hard a give sacrifices to be where you want to be. “But they are young and it is important that they see they can enjoy themselves playing football too. “It’s very important to keep this kind of link between the club and the people. We show that we are not just a football team. The girls football session at Ingleby Manor is just one of many sessions delivered all over Teesside for girls aged 11-25, as well as older female participants looking for a way into or back into the sport. 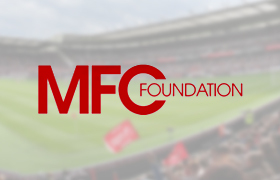 Also working with the likes of the Premier League and the North Riding FA, the aim is to increase participation in female football nationwide, to foster the sport and encourage the transition into local football teams. The visit was part of the wider EFL Day of Action, with all 72 EFL clubs showcasing the innovative and ground-breaking work they do for young people in tackling some of the biggest issues in society across education, health, community inclusion and participation.